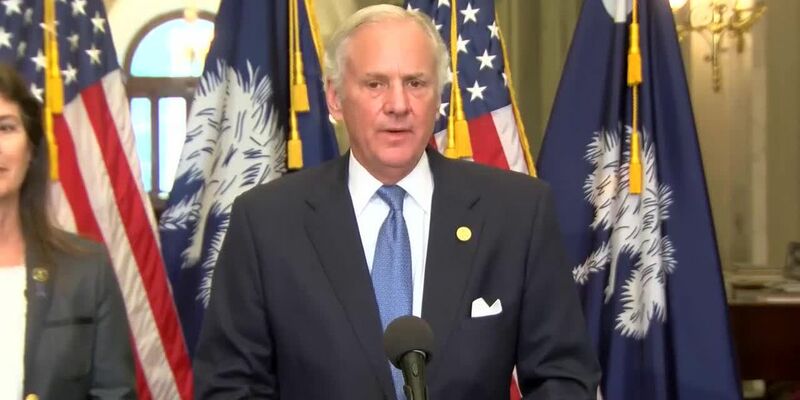 COLUMBIA, SC (WIS) - South Carolina Governor Henry McMaster had a request regarding faith-based foster care providers from an Obama administration regulation make an exception for groups in the Palmetto State. The regulation initially said that faith-based foster and adoption groups could not discriminate against families who wanted to adopt but did not adhere to the agency's beliefs and still accept federal money to fund their operations. Those beliefs could mean that families of different religions or sexual orientations could be denied a chance to foster or adopt children if they went against private organization's beliefs. Gov. McMaster joined the fight against this policy when a Greenville faith-based center, Miracle Hill Ministries, whose requirement for Christians-only became a contested issue. "I will never stop fighting for your religious freedom. The generous foster families at Miracle Hill Ministries make sacrifices to protect our vulnerable children, but the government cannot force them to sacrifice their faith. Will you stand with us?" McMaster wrote in February 2018. In considering the request of the state of South Carolina, ACF consulted with department subject-matter experts including the Office for Civil Rights (OCR), to which HHS has delegated the responsibility to ensure compliance among its programs and its grantees with the Religious Freedom Restoration Act (RFRA). “This decision preserves all of the foster care agencies currently available for children in South Carolina by ensuring faith-based organizations can continue to serve this vulnerable population. It protects minors who are in need of as many options as possible for being placed in loving foster families,” said Johnson. “The government should not be in the business of forcing foster care providers to close their doors because of their faith. Religious freedom is a fundamental human right.” As before, all qualified persons interested in becoming certified foster care providers will continue to have multiple avenues for doing so within the state. Additionally, as a condition of the relief HHS provided the state of South Carolina, subrecipients of grant funds will continue to refer any potential foster care families not accepted into subrecipients’ program to other placement agencies or to the state. “By granting this request to South Carolina, HHS is putting foster care capacity needs ahead of burdensome regulations that are in conflict with the law,” said Johnson. “Just nine days prior to President Trump’s inauguration, the Obama administration implemented a discriminatory regulation that made it the policy of the federal government to viciously discriminate against faith-based foster care providers. “Today, HHS took an important first step toward reversing that shameful policy by providing the state of South Carolina with an official exception to the regulation, allowing these charities the ability to continue serving poor children who desperately need homes without having to violate key tenets of their faith. HHS also made it clear that the position of the Trump administration is that the Obama-era regulation is in direct conflict with the law. United States Senator Tim Scott (R-SC) released a statement on the Administration for Children and Families (ACF) at the U.S. Department of Health and Human Services’ (HHS) decision to protect the religious liberty of South Carolina’s faith-based foster care providers Thursday.